Do you ever feel that with a vast majority of games and activities being delivered in a digital format, young children are missing out on fun of building and assembling things on their own, interacting with things physically and working in a three-dimensional world? Real life toys are a boon for the digital age kids and every year, no doubt there is more innovation in this category. 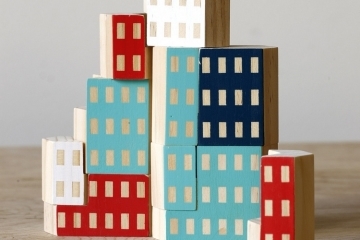 While gearing up for the great Toy Fair 2019 at New York City, let us explore the 2019 Construction Toy of the Year nominees that have made it to the list. Each one of them is absolutely unique, fun to play with and also helps kids learn the art of building stuff by bringing the best out of their curious, young mind. Gears! Gears! Gears! 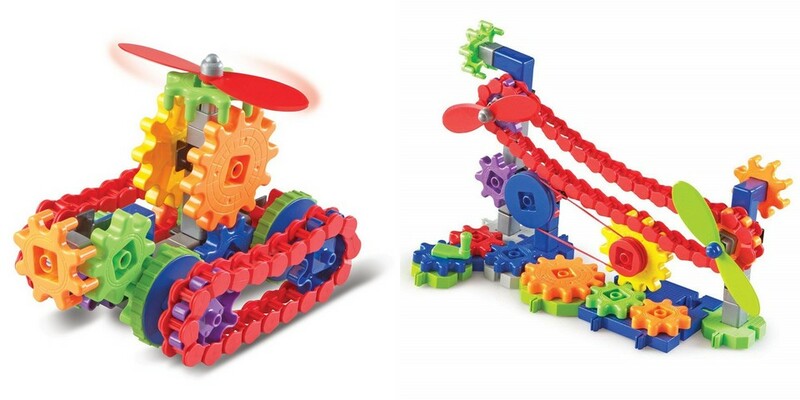 Machines in Motion Designed for kids aged 4 and up, Gears! Gears! Gears! Machines in Motion will instantly grab your attention with its colorful design and large parts that are safe to use. While there are more complex building toys, this particular model is meant for the young ones. They can learn all about pulleys, levers, gears, chains and wheels. With over a dozen different parts to choose from, they can comfortably bring their ideas to life. 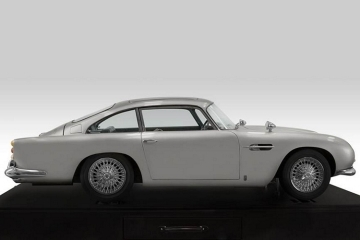 Be it building a heavyweight lifted, a construction car or a helicopter, they can do it all. Apart from making these machines, the kids can also make use of the special wrecking ball and propeller which adds the finishing touch to the kit. 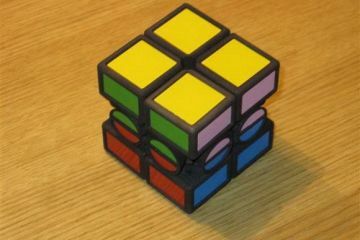 The parts are made using safe plastic material, have large openings so that they can attach to one another without the need for a screwdriver or other tools. It’s one of the best ways to provide STEM knowledge to kids who are just starting school. GeoSmart Flip Bot Remember the old school cute puppy that used to flip over after every few steps? The GeoSmart Flip Bot is a modern version of the same but it is an engineering marvel. Instead of creating a flip that would jump or turn, this is a fun toy which has a total of three different sets of wheels. It uses sensor technology and remote control to keep the kids engaged. Watch your kids drive the bot around at top speed but every time there is an obstacle in front of it, it will quickly flip and switch to a different set of wheels to change direction. It may not sound fun on paper but we are sure you and your entire family would enjoy watching the flip bot do its job. Just make sure to use multiple obstacles that you have at home to create a great obstacle course and watch the car navigate it all in a seamless manner. It’s designed for kids aged above 5. GraviTrax Starter Set Have you ever heard of a toy that deals with gravity? There is no better way to introduce kids to the fact that we, humans live on Earth because of the gravitational pull that keeps us grounded. The GraviTrax Starter Set is easily one of the best 2019 construction toys of the year because it focuses on a topic that is seldom explored by toys or even in video games. And, when the young ones can actually build their own base and experience gravity, it’s going to be just awesome. As the manufacturer duly states, this toy is an exciting addition for anyone aged 8 and up to 99! Obviously, who wouldn’t love to see the items they own float on top of it. 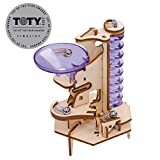 Some of the elements that are imparted by this toy include magnetism, kinetic, gravity and energy. Create your own track and watch the spheres fly but make sure you have constructed in such a way that it floats seamlessly from one end to another as designed. Long, long ago so long ago…actually this is not a retro model but a current generation toy of the 21st century that brings the fictional world of George Lucas to life with one of the most ambitious construction sets that we have ever come across. The Millennium Falcon is the latest and most powerful vehicle in the galactic universe. When you want to experience the massive universe of Star Wars, this should probably be the best and the most addictive way to do it. The Lego set includes hundreds of pieces which has to be put together to complete the space ship. There are mini cockpits for your action figures to get seated but did we tell you it also includes Hans Solo, Chewbacca and DD-BD droid among many others? 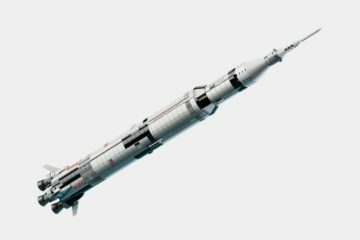 The space ship includes separate missile storage compartment, bar, bunk and once fully set up, you can showcase it as a way to show off you and your child’s construction skills. Lego is a brand that specializes in creating the most innovative and engaging construction toy of the year. While keeping track of all the parts is going to be a tough job for both adults and kids alike, this is a job for the entire family. A bunch of kids could sit around and bring the LEGO® Harry Potter™ Great Hall™ to life by spending hours every weekend. It’s going to take a very long time but once done there are many great games to look forward to. As expected, the big bundle includes all fan favorite characters including Harry Potter, Hagrid, Hermione, Dumbledoreand others. A total of 10 mini figures are part of the Great Hall bundle and it is also compatible with other Harry Potter construction toys, so that you could expand your HP universe as large as you would like it to. 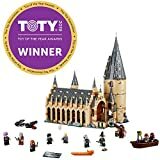 You can even take Harry with Hagrid on a lantern boat, play wizard tournaments against Malfoy, fight Lord Voldemort from the first part and recreate many great scenes from the movies. The Archimedes Screw is a fascinating technology found ages ago but for modern day kids, it is a fun way to explore some of the greatest inventions of the past. The young ones can build the entire set in less than an hour and once they are done, they can actually move the handle to tighten or loosen the screw. 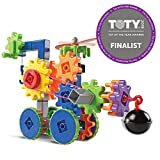 It is fun, a great learning experience and the manufacturer of the toy believes that kids can learn the most if they are exposed to engineering at an early age. 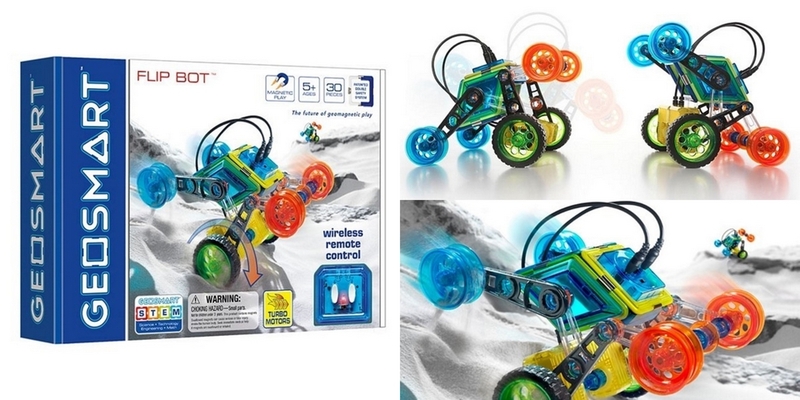 The pricing of the toy is affordable for most and it is designed for kids aged 9 and up. The advantage of teaching engineering with the help of toys is that they don’t have to use any special tools and the parts are completely safe. They are made using high-quality plastic without any sharp edges. The rounded edges and the large design allow children to easily hold them in one hand to assemble them. The parts latch on together without requiring screwdrivers or industrial tools making it not only safe but also a fun learning experience. 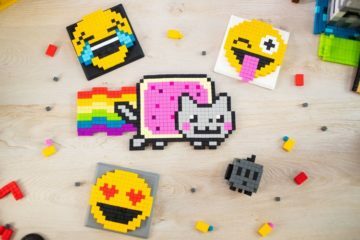 All it needs is household white glue and with the help of instructional videos, you can either teach your kids to complete the build or let them figure it out on their own. The sole purpose of owning the Snap Circuits BRIC: Structures is to bring some of your wildest ideas to life. The manufacturer of the toy has provided all the items that one would need to build different building sets and they have provided a complete instruction manual for you to use. The idea is to think of wacky structures, see how the available parts could help you out and build them. It doesn’t stop there because there are individual battery components that you could use to light up and even have an LED tree on the side to set the mood. 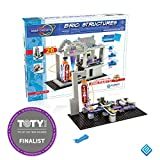 Everything about the Snap Circuits BRIC: Structures and the different buildings that they have depicted seems fun. The product is designed for kids aged 3 and up. The snap circuits teach the basics of electricity and lighting while the engineering aspect is on using the 75 parts provided in it. There are also 140 building bricks to come up with different structures and the manual is always a handy option to give you ideas. Make sure to buy the AAA batteries which are not included with the set and it is important to have it so as to add some lights to your completed construction. Being in the New York Toy Fair is a blissful experience where they showcase the most innovative, fun and amazing toys that were designed in the past year. The 2019 Construction Toy of the Year faces some tough competition on all sides as we have those focusing on gravity while others that bring the world of Star Wars and Harry Potter to life. In terms of encouraging kids to learn engineering and construction, all the toys in the list could win it hands down but only the best would bag the title. Gears! Machines in Motion look like they would be much more entertaining than Legos. There are some toys marketed as STEM products but they technically don’t fall into that category. The Gears! Machines in Motion definitely would be a STEM toy. I like that all of the different building kits will work together, so if you childlikes it you can always get more kits to expand what their imagination can build. I’m a bit concerned that one of the reviews says that not all the pieces fit together smoothly, but maybe they were not trying to assemble the model properly. I know it would cost more, but I would rather see the gears pieces machined aluminum instead of the cheaper plastic. It would cost more, but be more durable and I also think the traditional sound of metal on metal gears revolving would help to make your finished project even more exciting. The machined aluminum would also be more dangerous if your kid flung one. The plastic pieces in this kit won’t break a window if kid suddenly flings one for no reason. 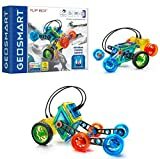 How durable is the GeoSmart Flip Bot? 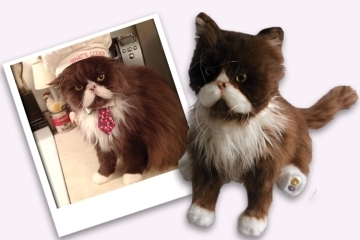 It looks like it would e a fun toy for my kid, but I’m worried about the cat attacking it. 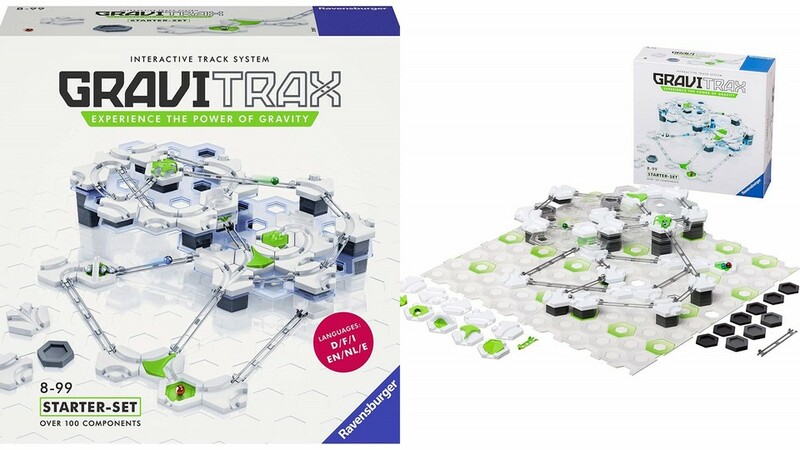 The Ravensburger GraviTrax looks much cooler than a generic marble run. 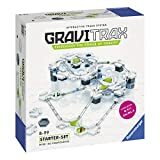 With the Ravensburger GraviTrax you can basically make your own pinball style marble run but have a lot more features than an old school marble run toy. The best thing about the Ravensburger GraviTrax is the Gravitrax App. If you build your own model layout, you can save the blueprints in the app so you can always rebuild the same model at a later time if you want, or even cooler, sharing the plans with someone else so they can reproduce the model you designed! I’m sure it will hold up great as long as the kids don’t drive it down the stairs. The Gravitrax App is a great idea. I wonder how easy it is to share saved plans with other users of the app. The marble run videos on Youtube can now make their own marble run and then share the lunk to the plans with their fans if they want to make the same layout. It’ll be great for marketing of the GraviTrax as long as the app works without being buggy. I got mixed thoughts on them including the Gravitrax App. The Gravitrax App is good to help save custom layouts and get plans from other users too, but, Sometimes I want my kids to have a STEM type toy that doesn’t require using a phone or tablet. I thought the Kessel Run Millennium Falcon was an old product that was released a few years ago, but it is an updated from the original Lego release. 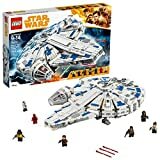 Is the Kessel Run Millennium Falcon a good buy if you are not interested in building the Star Wars Space Station and just want the bricks and Star Wars mini figures to build your own creation? I read up on the Toy Fair on Wikipedia because I had never heard of it before. The annual American International Toy Fair first began in 1903. You can always attend the Toy Fair as a member of the media, even if you are independent and just writing for your own blog or making videos for Youtube. The Toy Fair does charge for media passes, but you could create a lot of interesting content for blogs or videos if you were to attend. Do you know how much they charge for a media pass to the Toy Fair? i got to attend Toy Fair last year, but will not be going this year. I highly reccomend the experice. A press pass for the Toy Fair is required, but there is no charge for it. It is a free media pass to the Toy Fair. In order to qualify for the media pass, you need to meet some requirements that they have listed on their website. You must have a business card and then 2 more documents. As an independent journalist, you will need to show a letter from a legitimate media outlet that shows you are on assignment. I am independent media and was not on assignment, but I had enough followers on medium.com that they allowed me in. If you are on Youtube and looking to make videos, they require you to have at least 100,000 subscribers. What’s interesting is that you MUST be 18 to enter the toy fair, no kids are allowed. The only exception is if the Youtube influencer who has over 100,000 subscribers is under the age of 18, then they are allowed in. If any extra videographers come along to help film the Youtube influencer, they too must qualify for the credentials, so you can’t just hire a local videographer to shoot a video for you during the event. So if someone has over 100,000 subscribers in any category. or just any channel regardless of the content? @ Curtis Well they can be any subject, not just toy channels. Anybody can go with 100,000 subscribers whether they be family vloggers, daily vloggers, toy channels, or any other non-related topic. A toy-centric channel with 100,000 subscribers will often provide a much better value to the niche advertiser than a channel such as Casey Neistat. Neistat may have 10 million subscribers, but the per subscriber value of a toy specific channel will be worth much more. The Gears Gears Gears Machines look perfect as a toddler STEM toy. Can you buy just the Harry Potter mini figures instad of the entire Great Hall Lego set? 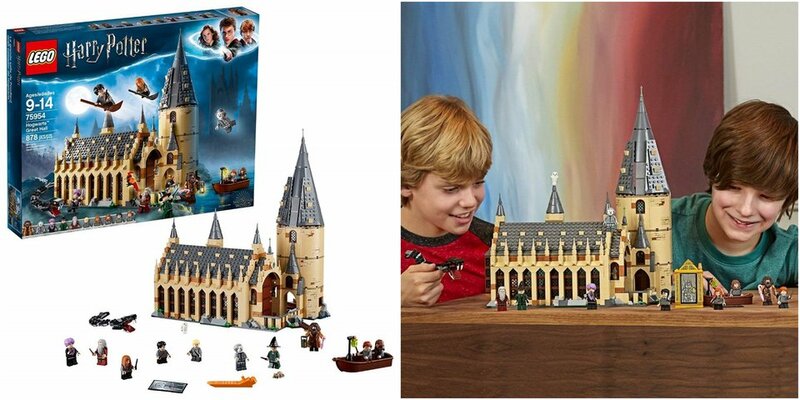 I like the Great Hall set, but I really just want to buy Harry Potter mini figures cheap. You can buy individual Harry Potter Lego minifigures or you can buy a set of them, but they are expensive. The set of 16 costs about $85, and individually you are looking at $6-$13 each. It is actually a much better value to buy the Great Hall set because you get 10 minifigures with the set. It costs just a few dollars more to get the complete Great Hall set, so you might as well pick up the extra bricks for more versatility in your builds. I bought some knockoff Harry Potter figures from Ali Express; They cost less than $1 each, but the build quality was awful compared t the official Lego branded minifigures. I will now stick only to official Lego products from Amazon or Walmart. I prefer Amazon for pricing and variety, but sometimes my local Walmart will get a Lego Minifigure in that is considered collectible and selling for much more on Amazon. It is rare, but it does happen occasionally.